We, as a team, are competent to provide a single, user-specific and customized solution that will decode the customers need in an open system. 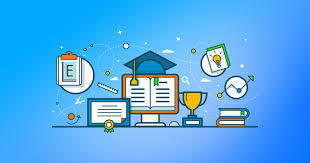 The higher education system is dependent upon the technology-guided tools that helps the instructors, students and other administrative representatives to avoid the stacks of paperwork and get efficient in providing the education in an effective way. Learning management system has provided the access of information related to course, instructor or any curriculum related stuff. It helps to initiate the course management from both perspectives – Student & Instructors. It offers an instructor with a system to create and deliver content, screen student involvement, and measure student performance. It supports a student to access the course content, cultivate a learning pace and learn without any controls or interruptions. In fact, learning is somewhat the ideal way to flourish towards a progressive career in today’s tech-oriented solutions. The institutions are capitalizing their financial resource to boost up and strengthen this aspect. Learning management system is the platform where instructors and students can interact, collaborate and drive a productive learning environment. As many distance learning programs completely rely on the LMS worldwide that ensures the learning process efficiently delivered to the beneficiaries. In today’s dynamic market, different products are develop such as SAKAI, Moodle, and Canvas etc. that are running successfully in the leading institutions. The product selection tailored by the particular requirements that are opt by prioritizing the needs of institution primarily based upon strategic objectives. Instructors and students are more inclined towards an intuitive and user-friendly interface, which facilitates the curriculum management in an effective methodology. The LMS gives the best use of knowledge management and its accessibility to the users. The instructor can virtually work on their assigned courses and classes as well as students can have a direct access to learning material and assignment. Responsive interface to build cooperation between student & instructor to assist in academics. This platform modernizes the effective communication and fulfills learning objectives. It initiates the learning capability enhanced by synchronized tools for collaboration.